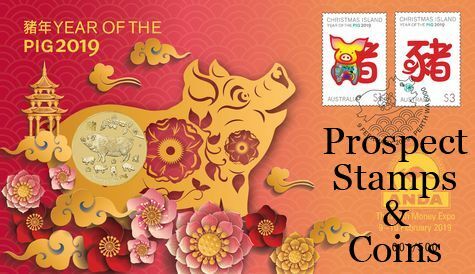 The Year of the Pig overprinted Stamp and Coin cover was produced by ANDA exclusively for the Perth ANDA Money Expo. This overprint was limited to only 500 covers and was sold out before the end of the show. Exclusive overprint featuring the ANDA logo and the Perth Money Expo date.